For 50 years, Capitol Scientific has been the one-stop-shop for all of your laboratory equipment and supplies. We proudly offer a vast inventory of laboratory equipment and lab supplies by manufacturers such as Avantor, EMD Millipore, Thermo Scientific and Whatman. Capitol Scientific carries many name brands, including JT Baker, Macron, Nalgene, Pyrex and Hanna Instruments. 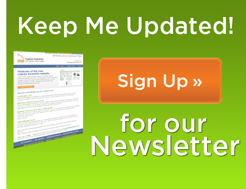 We make it easier than ever to buy lab equipment and supplies online. Did you know you can buy lab chemicals online? Capitol Scientific carries a broad selection of lab reagents and chemicals. From acids to solvents, we have you covered, no matter your application. We are also one of very few dealers that supply Dow Electronic Materials in North America. View our inventory and request pricing today. Safety is always important in all laboratories and manufacturing facilities. Capitol Scientific understands that and carries safety and industrial supplies as well. Shop the safety and industrial category for eye, hearing and fall protection, safety apparel, adhesives, abrasives and much more. Capitol Scientific has worked to make it easy for you to stock your lab with the equipment, supplies, and chemicals you need. To quickly find your commonly ordered items, add them to your "My Favorites." When you log in, all your items will be there, able to add to your cart quickly. 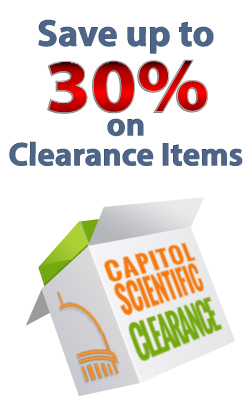 Capitol Scientific also sells many items in various quantities. When looking at an item, you might see a price for each or a price by the case. You'll find that buying by the case will get you the best prices. If you need things often and see the value in buying by the case, but don't have room to keep a large supply in stock at your location, we can help! 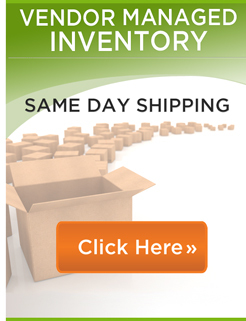 Capitol Scientific offers a Vendor Managed Inventory program . Just let us know how much you need and how often, we'll make sure we always have what you need in stock, ready to ship for you. Capitol Scientific offers several shipping options. You can choose Ground, Express, Priority, or Priority AM shipping, depending on your needs. You can also choose to use your company account for shipping. Simply choose the "Customer Collect" shipping option and enter your account information. As soon as it's ready, we'll ship your order to you with your preferred account.